The Best Roasted Vegetables That Everyone Will Love and Ask for More! Everyone loves oven roasted vegetables! You can season your oven roasted vegetables to your own liking, switch out different vegetables you would like to try, and it’s always a real crowd pleaser for just about any occasion. As a part-time vegetarian, I’m always trying to find new ways to enhance the flavor of food. I absolutely love oven roasted vegetables, and luckily so does my family! 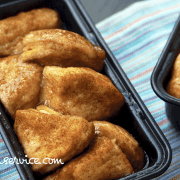 I’m sharing one of my personal favorite dishes that I love to cook! It’s always a huge hit in my family, especially when you have a ton of great vegetables in stock! Squashes and root vegetables are definitely my favorite! Fair warning: I like to cook in big batches, so I don’t have to cook a lot later! Let’s get started! If you have any leftovers, be sure to save them! 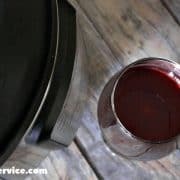 You can easily put the leftovers into a blender and puree into make a fabulous bisque! IF you love this recipe, be sure to scroll down to look at all of the other amazing healthy and delicious recipes! Thanks for reading, and I hope you enjoy it! Stay tuned for more! If you love this recipe, then you’ll be sure to love my other amazing, delicious, and healthy recipes! Cut squash and potatoes into chunks. For the asparagus, snap at the appropriate areas for them. This is usually about 1 to 1 1/2 inches from the bottom of the asparagus. Then cut Asparagus in half. Not down the middle in half, but across. We want to leave the spears intact. Next, you will want to mix the vegetables in one bowl. Unless you have a really HUGE bowl, then do like me and use 2 separate bowls. Once the vegetables are in the bowl, sprinkle your EVOO all around the top of them. This will probably wind up being about 1/4 cup. Add all of the seasonings on top. Now, Use the salt and McCormick's pepper mix to your own liking. Everyone has their own salt and pepper threshold. Some might even want to add more rosemary and less basil, but to each their own. With a wooden spatula, fold all of the vegetables and seasoning together. Keep mixing until you are sure that the ingredients are nice and spread out. When done, place your vegetables into a deep baking dish. I had to use two! lol..don't judge me. Cover the dishes with foil, and bake for 30 minutes. Then, take off the foil and bake for another 10 to 15 minutes. If you like your vegetables more al dente, then lessen the covered cooking time. Here are some other great vegetarian recipes that you might enjoy, too! And in case you’re interested, this is the pyrex dish that I used. You can purchase it on Amazon or at one of your local retailers. It’s a 3 qt dish. These were delicious! I LOVE how it makes so much. I am using our leftovers to make pasta primavera tonight! My 3 kids, husband and I can’t wait!!! I’m so glad you enjoyed these, and yes!! That’s an awesome idea of what to do with the leftovers! I’m so gonna try that out! Hi Kathy! Thank you for your input on the matter of cooking/heating extra virgin olive oil. Here’s the thing about EVOO (and any and all forms of food oils). : They all have something called a “smoking point.” This when the heat and rate of reaction steadily rises and increases. So, if I just put a table spoon of EVOO in a pan and turned the flame up high…you will notice that it will start smoking and releasing “toxins”. Of course, all forms of smoke is not good for the human body…and you certainly don’t want to eat anything prepared with that. In this cooking process, you have the EVOO being absorbed and creating a layer of flavor (a marinade for it, if you will) with vegetables. The best part is this: the water retention of the vegetables come out to play, and helps balance out the liquid & oil levels in this dish. Therefore, you are actually “diluting” the EVOO with vegetable “juices” that come out from the cooking process. Also, 250 Degrees F is the baseline temperature, but can vary up to 468 Degrees F for a smoking point and break down acrylamide formation and the oxidation of nourishing substances found in Olive Oil. Personally, Olive oil is definitely one of the most safest of oils to consume & cook with. I hope this helps! I would use red potatoes. Dr. Axe changed that portion of the recipe, which is fine. I personally wouldn’t use sweet potatoes in it. Can you use the large bag of frozen veggies as well? Any idea how long this will save in the refrigerator? Hi Brooke! I would say this has a shelf life of 3 days. After that, the acidity of the tomatoes would start breaking everything else down into mush. 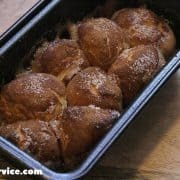 I would love to print this recipe, is there an option to do so? highlight the recipe then right click, “print” will be one of options. Could you cook this in a crock pot? Hi Kimberly! You could absolutely cook this in a crock pot without an issues, though you would get more of a “stew” effect from it. Still sounds super delicious!! I’m not a rosemary fan. What herbs would you suggest instead? I have been doing EVOO, Salt, pepper, and dried thyme. I have also tried making pesto without the cheese because I freeze it—and using it as my seasonings. You have your basil, garlic and evoo all together. Hi Jennifer! It’s ok, not too many people are Rosemary Fans. Martha had a great idea of using some Thyme. Some other great ones to try are: Chervil, Cilantro and Tarragon. also if you buy really good olive oil you can see on the bottle that it will tell you what you can do with it. Some say dipping and dressing some say baking and sautéing and some say for cooking. I am Italian, and we use olive oil for all kinds of cooking and such but it depends on how it is process to use it for all of these things. I have cousins that live in Italy that make olive oil. Made this today! WOW! Delicious!! My family LOVED it!!! Could this be frozen and used again later? How long would it last? I feel that you can definitely freeze this without an issue. If anything, You might want to reduce the cooking time (covered) by 15 minutes. The only reason I suggest is because I never use a microwave to reheat food. If you reheat in the oven, the veggies won’t get that “dried out” effect because it would still contain most of it’s moisture. What is your guess on how many adults this will serve? Do you think it might be OK for 14 adults as a side? For a side dish, I would double the batch for 14 adults…depending on what other side items you would have! I don’t care for asparagus (I try it every year to see if I’ve evolved, and thus far – at age 60 – I still haven’t. What could I substitute? Would broccoli work? Or brussels sprouts? i would try green beans if you dont like asparagus. Thank you, Dawn!! That was a choice that I had considered, but just wondered if there was a veggie that had similar nutritional value as asparagus. Dawn, that’s a great idea! Green beans are always yummy! Brussels sprouts are great, but I like Dawn’s idea of using Green Beans! Add parmesan cheese ,panko bread crumbs, season salt & shredded cheese on top. Made this recipe tonight!!! WE loved it! Making it again tomorrow night and probably a double batch every Sunday to use during the week! I used heirloom carrots instead and fresh herbs. Delicious! Heirloom carrots are just divine! I’m so glad you all LOVED it!! this has been a huge hit and i’ll be making it again tonight…i only wish i had thought to add green beans…the snow peas have a tendency to get overdone for my taste, so i leave them out…i will add green and red peppers tonight…maybe some onion, as well…as long as it’s fresh…it’s gonna be good…i have been touting this to all my carnivore friends (LOL) and hope they will take the proverbial plunge and see how really delicious fresh food can be…SUPERB! I’m so glad you loved it, @angelamarielewis:disqus ! These sound delicious! I want to make them for a party where we will have around 40 guests. Do you think I should double or triple the ingredients? It’s hard to tell how much it will actually make. Thanks!! Hi Kristin! I’m so sorry that I overlooked your comment. I certainly do send my deepest apologies! IF you haven’t had your party yet, I would say to triple it for 40 people. If they are big eaters, then probably quadruple it and prepare in bigger metal deep dish pans. Again, my sincerest apologies! Would it still taste good if I diced up a sweet onion and added it to the mix? Hi Whit! Yes, it will taste super yummy! I would recommend in making sure that they are cut in a chunky type of manner…and not just sliced or diced (minced). I made this last night and loved it. I would eat veggies everyday if I find recipes like this. Btw that picture enticed me to follow the link off Pinterest. I want to know the content amounts. calorie, protein, etc. Love all the fresh veggies! I use a website ‘myfitnesspal.com’ to keep track of calorie intake. On this site is a tab called recipes where you can paste a recipe’s url and myfitness pal will convert the recipe’s nutritional value for you. 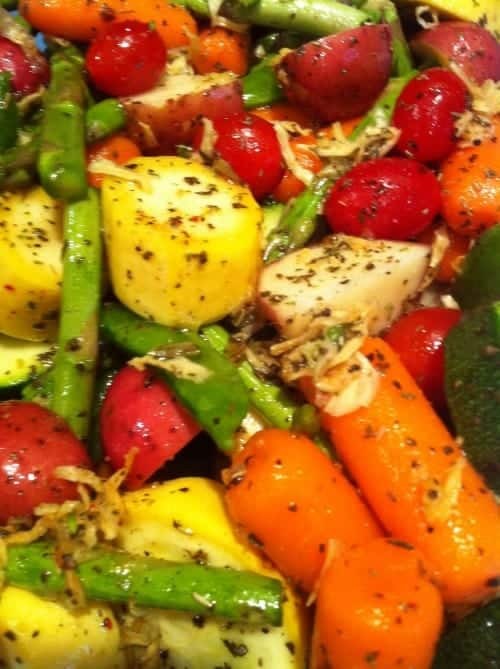 I have copied and pasted the nutritional value for oven-roasted vegatables for you! Alice! Thank you so much! This is amazing! i cook like this because i’m on the AIP/PALEO diet….now a life style ! if people want to feel better health wise this is the way to go…..
I’ve done this w/different vegt’s in my slow cooker on low. that way I can leave & not worry about them in the oven.